Ammann: "All the energy right now is focused on getting to the point of initial commercial deployment." 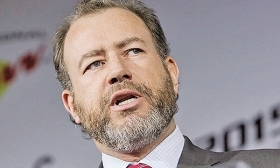 General Motors President Dan Ammann will step down from his role to become CEO of the automaker's Cruise autonomous vehicle unit. The move -- effective Jan. 1 -- emphasizes the importance of the operations to the future of GM, which plans to launch a public self-driving ride-hailing fleet in 2019. It also places Ammann, a former Wall Street banker who joined GM as its treasurer in 2010, to potentially lead a spin-off and initial public offering of Cruise, which analysts have speculated is eventually coming. A successor for Ammann, 46, will not be named. GM CEO Mary Barra will absorb his responsibilities over global regions and GM Financial, while CFO Dhivya Suryadevara takes responsibility of the automaker's corporate development, the automaker said in a statement today. Cruise's current CEO and co-founder, Kyle Vogt, will become president and chief technology officer of the operations. Ammann and Vogt will "set the strategic direction" for Cruise. Ammann on Thursday described it as a "partnership" with Vogt leading technical side of the business and Ammann focusing on "commercialization and other scaling from a corporate point of view." Ammann, who will be based in San Francisco, declined to comment on the possibility of a spinoff or IPO. "All the energy right now is focused on getting to the point of initial commercial deployment," Ammann told Automotive News, later saying the company could be "open-minded to other opportunities down the road." Bloomberg reported earlier this year that GM was talking with banks and internally about its eventual options for Cruise, including a public offering, spinoff or separate stock listing. 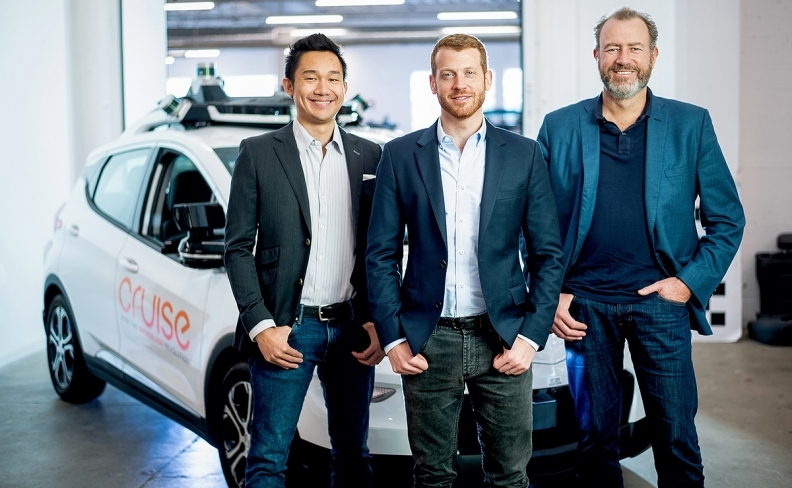 "These appointments further demonstrate our commitment to transforming mobility through the safe deployment of self-driving technology and move us closer to our vision for a future with zero crashes, zero emissions and zero congestion," Barra said in the statement. "As we move toward commercial deployment, adding Dan to the strong team led by Kyle is the next step." Ammann said he is "thrilled" to be dedicating 100 per cent of his time and energy to Cruise, which is currently valued at $14.6 billion (all figures USD) following recent investments. From left, Cruise Automation COO Dan Kan, Cruise Automation CEO Kyle Vogt and GM President Dan Ammann pictured last week in San Francisco. Spearheaded by Ammann, GM acquired San Francisco-based Cruise Automation in 2016. He has since overseen its expansion from 40 employees to more than 1,000 at the GM subsidiary. "He's demonstrated to us he's got what it takes to be a tech leader," Vogt said Thursday. The shift follows several major announcements in recent months about GM's autonomous work, including a $2.25 billion investment by the SoftBank Vision Fund of Japan and plans for Honda Motor Co. to invest $2.75 billion in the operations. The announcement also comes three days after Barra and Suryadevara announced a major restructuring of the company's North American production operations and plans to cut 15 per cent of the automaker's salaried workforce, including 25 per cent of its global executives.